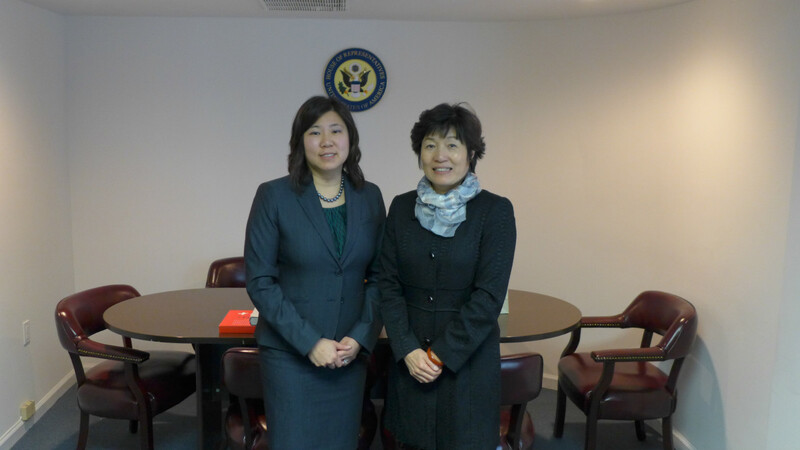 On February 10th, Consul General Zhang Qiyue met with Congresswoman Grace Meng, the U.S. Representative for New York's 6th District. Ms. Meng welcomed Zhang's arrival in New York. She said that New York has witnessed the rise of the Chinese community. It is hoped that the Chinese community will continue to help the Americans to get a better understanding of China and contribute to the U.S.-China relation. Consul General Zhang commended Ms. Meng for her support to the Chinese Community in New York and her contribution to make the Chinese New Year a holiday in State public schools. Zhang also promised to enhance the cooperation with China and the ten states in the eastern US. She hoped Meng will play a more active role in promoting China-US relations.